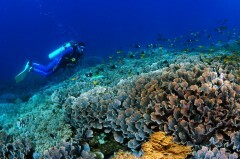 Discover the gorgeous reefs and spectacular marine life of Bali with a fun dive at Padang Bai. Depending on your certification level, you'll be able to dive to some interesting sites in Padang Bai, located on the coast of mainland Bali. This day trip includes 2 dives in Padang Bai, a personal PADI instructor to give you full attention, all PADI diving equipment, lunch and soft drinks on the boat, and transfers from your hotel. 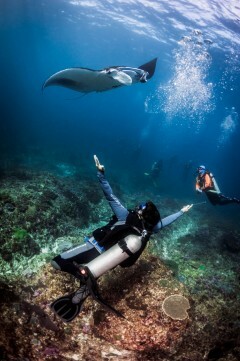 NOTE: You need to be at least a certified Scuba Diver to undertake this fun diving in Bali. This Bali scuba dive trip takes you to the port town of Padang Bai, located on the eastern coast of Bali. With the white sand beaches, blue skies, clear waters and lush forests, Bali is a tropical paradise, and Padang Bai is one of the most popular dive sites. Just a short distance from the beach, there are a dozen dive sites suitable for beginners or experienced divers, filled with vivid coral reefs and exotic fish. You may be able to spot eels, Napoleon Wrasse, Trevally, Tuna, King Mackerel, cuttlefish, even octopuses or turtles, as well as schools of smaller (but colourful) fish. 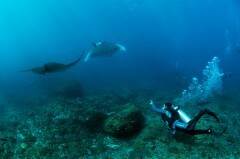 • Explore the rich marine life of Padang Bai, one of the most popular dive sites in Bali. 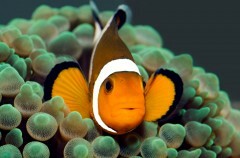 • Enjoy 2 fun dives in the clear waters of Bali. • Explore the vivid coral reefs, slopes, and walls just off the coast. • Enjoy a tropical picnic, with lunch and snacks being served on the shore. You will be responsible for your own belongings. The operator will not be responsible for any loss or damage during the Bali fun diving scuba trip. You must adhere to the instructions of the guide at all times during this Bali scuba trip. The operator will provide the equipment during the Bali scuba trip. You are responsible for the equipment and must use it with care. Participants are strictly prohibited from carrying weapons, guns, illegal drugs and psychotropic substances, alcoholic beverages and/or other hazardous substances, explosives and specific fruits such as durian on the Bali scuba trip. You will not be allowed to participate in the scuba diving activity if the instructor believes you to be ill or under the influence of drugs or alcohol. MEDICAL NOTE: All divers must complete a medical checklist before diving. Guests who have in particular asthma, heart complaints, diabetes and/or are pregnant cannot dive unless given clearance from suitable physician. If cancellation is made 2 days or more before the departure of the fun diving in Bali: Full refund, minus any transaction charges. 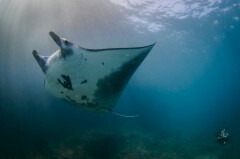 If cancellation is made between 0-1 days before the departure of the fun diving in Bali: No refund. The operator takes utmost care of the participants and has the right to cancel, change or reschedule the itinerary of the scuba trip in Bali if it appears harmful to the participants or staff. 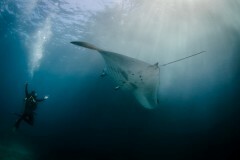 The operator is not responsible for any injury, accident or death during the Bali scuba trip or sea transfers. Eat a hearty breakfast before the pick-up arrives at your hotel. You'll be driven to the dive centre where you'll be briefed and fitted for your equipment. 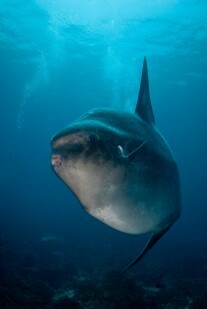 After that, you head out on the boat for your 2 fun dives in Bali. You'll enjoy a dive in the blue waters, and the head back for a light lunch. After a short rest, you'll go back for your second dive, and then it's time to head back. You'll fill in your PADI log book and will be dropped off at your hotel. Your fun diving trip in Bali ends here. Personal expenses such as meals, packaged water, cigarettes, telephone calls, tips, etc. You'll be picked up from your hotel in an air-conditioned vehicle and taken to the dive office. After fitting and briefing, you'll head out to the dive site in a boat. 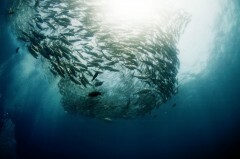 You'll complete your two fun dives in Bali, breaking for lunch which is served on the shore. After your dives are completed, you'll be taken back to the dive office where you'll fill in your log book. You'll be dropped off to your hotel after that. Your fun diving trip in Bali ends here.